Techna Tool, Inc.’s BK Mikro System is a simple yet effective CNC tool breakage detection system. It can be used to monitor stationary as well as rotating tools, and help alert the operator of any tool breakage. It can also be used for inspecting components, detecting deviation in tool positions, and measuring geometries of bores and cavities. It is known for its benefits of immense reliability, protection from chips and coolants, and easy maintenance. How does the CNC Tool Breakage Detection System Work? The BK Mikro systems consist of the following components – a wand, scanner motor, controller and mounting bracket. The correct or required position of an object or tool is learned with the wand. This position is stored in the controller memory. When the tool is in use, the BK Mikro system is used to check and verify whether the tool is in the correct position during every cycle. If the wand is unable to physically touch the tool, or passes the learned position, then the system’s controller signals the CNC control to stop the machine. This ensures that subsequent tools or the machine will not be damaged by a crash. To ensure that they can meet the needs of various industries, Techna Tool provides three primary styles of the detection system. TK8A/TK91A: These models are ideal for the tool magazine and are capable of performing accurate scans, providing precise results. 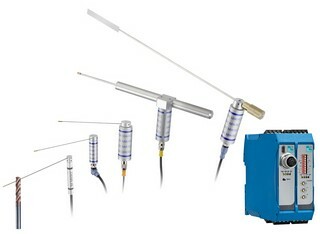 TK7A: The TK7A model is perfect for monitoring small tools and diameters. This model can only be used to scan in one direction. A second model, called TK7RL is designed to scan in two directions. TK96A: This compact model is designed for monitoring extremely tight areas where larger scanners can’t fit. Like the TK7 units, this model can scan in one direction, while a second model called the TK96RL can scan in two directions. Techna Tool, Inc.’s monitoring systems provide invaluable results for applications in automotive, medical, aerospace and other manufacturing industries. Contact us to know more about our systems. This entry was posted in Broken Tool Detection Systems and tagged broken tool detection. Bookmark the permalink. ← Holiday Greetings from Techna-Tool Inc.